Many artists love yoga, and rightfully so. 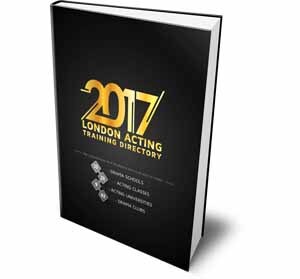 There’s tons of good reasons why actors should incorporate flexibility workouts into their general training, and there are a lot of good places for doing yoga in London, some of which already have big groups of thespians. A recent trend in doing yoga in London has been spreading like a virus, and many have shared their thoughts on the benefits of yoga. When you’re tired, it picks you up. When you’re stressed, it calms you down. When your bones ache from a long day of auditioning, rehearsing and writing screenplays, it’s like having a mind and soul massage. 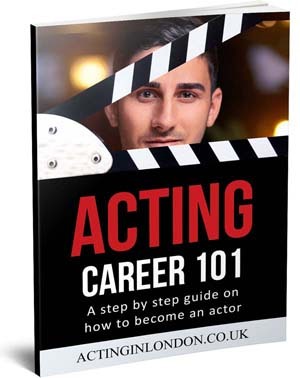 But most importantly, doing yoga in London when you’re an actor trying to improve your skills is a very smart move. 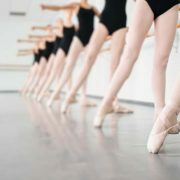 There are a lot of similarities between yoga and the Alexander Technique, which has long been a huge part of movement training in top drama schools. 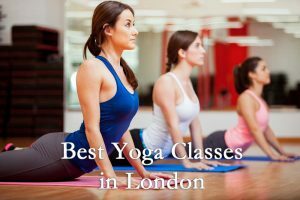 If you’re ready to try and see how regular yoga classes can change and improve your lifestyle, or if you’re simply looking to do something alongside your short acting courses, here’s a list of six best places for doing yoga in London (in no particular order), all separated by London zones. Good Vibes is a fitness studio so as well as offering a place for doing yoga in London, this studio has other kinds of fitness classes. They specialise in Vinyasa Flow, Power Plates and Pilates. The yoga studio is FAR infra-red heated and the founder/director Nahid de Belgeonne is the yoga expert for Women’s Health Magazine UK. They have a selection of yoga classes and workshops to choose from, including restorative yoga and yoga nidra (meditation known as yoga sleep). 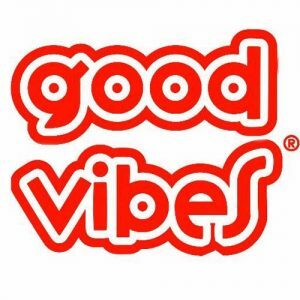 What I like about Good Vibes is they also do cycle classes and flow Ballet Tone. They’ve also got some unique yoga styles such as Yang and Yin Yoga, Bliss Restorative Yoga. Yin and Yang yoga combines power and strength through yang and restorative yin finishing with yoga nidra to candlelight. Bliss restorative yoga is a heavenly restorative class performed under gentle candlelight for the ultimate relaxation trip. Bonus features: Right next door is Yum Chaa tea house, perfect for a post-yoga herbal fusion tea and a superb spot for tasty breakfast snacks. Pricing: Good Vibes does a great intro offer – £45 for 30 days (also available at their Covent Garden Studio). After that, you can become an All Class Member for £109 a month (working out less than £9 per class). If you just want to do yoga/Pilates, you can sign up for £99 per month. You can also pay for the whole year in advance for £999 and get two months free. If you’d prefer to pay as you go, there are a variety of options too. You can pay per class from £16 or buy a multi-class pass at £150 for 12 classes. Workshops are £25 for 2 hours. 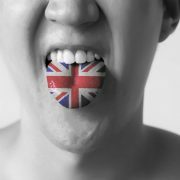 YogaMeHappy is trying to inspire a revolution by spreading the love and benefits of doing yoga in London. 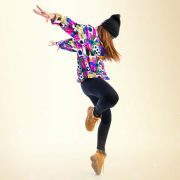 The classes take place in different locations around Finsbury Park and Walthamstow and Eliza. The founder also offers mobile yoga for one-to-one and small group classes at your home. Eliza, the company owner and yoga teacher, has a core mission to make Londoners happier by bringing her studies of Hatha yoga in India back to the UK. Bonus Features: Most yoga classes operate on a drop-in basis so there is no need to book. * Eliza also offers a new dynamic class suitable for intermediate and advanced yoga practitioners. In this class, the position of the month is studied in detail to understand and master like a pro. Pricing: Classes are pay as you go and priced per class at £9 for 1 hour and 15 mins per session. * The Sunday morning class is pre-book only and you can reserve a spot online. 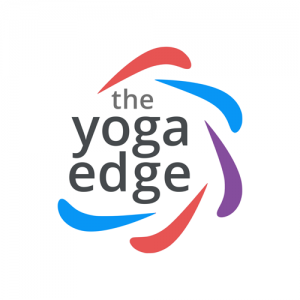 The focus at The Yoga Edge is on challenging and powerful yoga technique, Dynamic Yoga. It’s based on a modern and athletic style of Vinyasa yoga so it’s perfect if you like to build up a sweat. 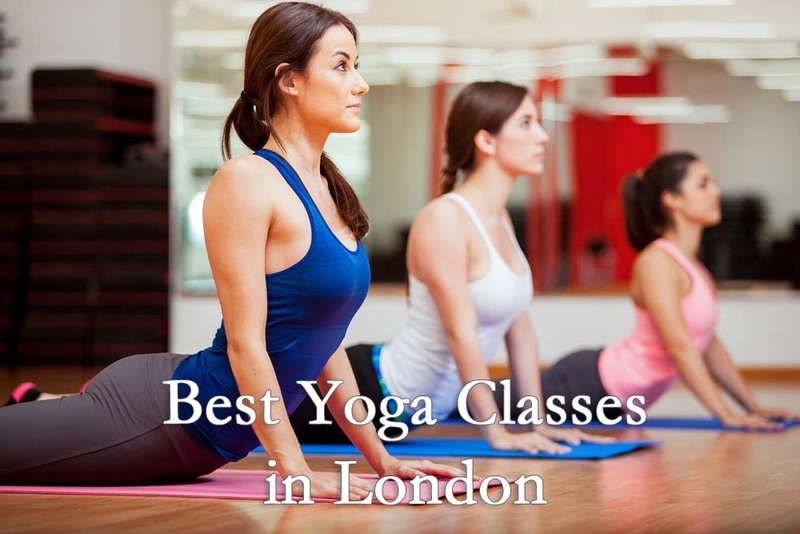 The classes cater of this place for doing yoga in London are for everyone at every level with the aim of creating a safe haven in the hustle and bustle of a London life. They offer luxurious yoga retreats in Turkey at Suleyman’s garden situated on the unspoilt turquoise coast in the south west. Bonus Features: There’s lots of extra perks at The Yoga Edge. If you sign up to their mailing list, you get a free Power Yoga pose chart. There’s also apps for iPhones and Android devices where you can manage your yoga classes. If that’s not enough to tempt you, they also operate a rewards scheme where you can collect points for sharing on social media and writing reviews. Pricing: 30 days of unlimited yoga for £40 and 10% off membership if you continue. Contracts are for 3 or 12 months and then rolling monthly contracts from £62.10 (with intro discount) per month. You can also get class passes. 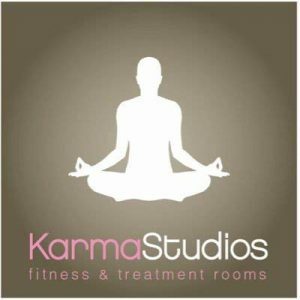 Karma Studios specialise in various types of yoga in London, and they also offer Pilates and Tai Chi classes. All classes and therapies must be booked in advance, and they don’t accept drop-ins. Hannah’s class Vinyasa Flow on Saturday afternoons and Wednesday evenings is brilliant. She creates a peaceful yet empowering atmosphere with her guidance and inspirational music playlist so that you leave the yoga class feeling more balance, restored and re-energized. Sunday evening of Restful Yoga is ideal if you’ve had a busy week or you need to focus your mind for Monday morning. Bonus Features: Karma Studios now offer Yoga Somatics. 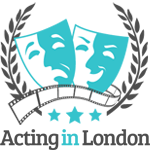 Combining yoga (bringing together mind and body) with somatics (the living body from within), which are perfect for actors. The core aim is to allow the mind and body to function as one. The goal is to work on developing new habits to improve posture, alleviate muscle discomfort and help create new and more helpful patterns. They also offer a range of therapies including reflexology, hypnotherapy, acupuncture and counselling. Pricing: All class prices vary. There are no membership fees and you can pay-as-you-go on most classes or pay per block, usually getting a discount. On average most yoga classes work out between £8-12 each. Helen offers great classes of yoga in London based in High Barnet. The school also does Yoga Retreats in Portugal and workshops in the beautiful Cotswolds. The focus is on Iyengar Yoga. Helen is a very holistic yoga teacher who believes in learning throughout life and shared experiences. Helen is a truly gifted teacher of yoga but if that’s not enough to convince you, the workshops in the Cotswolds and the retreats to the Algarve in Portugal offer the opportunity to hone your craft and simply relax. 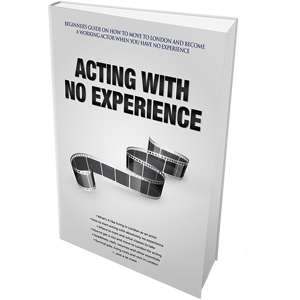 Bonus Features: Join the mailing list and receive a free Home Practice guide. Pricing: Contact Helen for her payment options. For those of you with a sense of adventure, Pure Yoga Zone offers interesting styles of yoga in London, and their classes are located all over the city as well the rest of the world. Jen started Pure Yoga Zone in 2011 with a vision to go beyond teaching yoga and to continuously learn through a love of the outdoors. Her yoga classes are organised as weekends away and mini-breaks across the world as well as one-day masterclasses at Seven Sisters and Box Hill in Kent and Surrey. Pure Yoga Zone is special because it’s all about creating “oneness.” Jen makes it her mission to create yoga retreats that are beautiful and provide the ideal environments for developing your yoga as a craft and way of life. Venues include Sri Lanka, Sardinia and, more locally, Wales weekends. 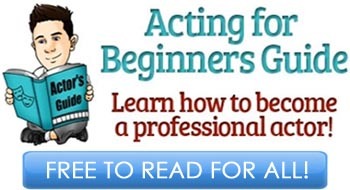 Pricing: Prices vary depending on whether you do a class, a workshop or go abroad. An SUP yoga class will cost you £25. Do you know of any more good yoga classes in London? Share those in the comments section below!